IPL 2019 MI vs RR live streaming will be made available by the official partners on tv, web, and apps. You can watch live cricket match today online on Hotstar, Jio, Star Sports and AirTel. The upcoming Indian Premier League will be played from March 29, 2019, to May 19, 2019. It could be held in South Africa or United Arab Emirates (UAE) due to Indian General Elections. The below will be updated timely as it is subject to change. 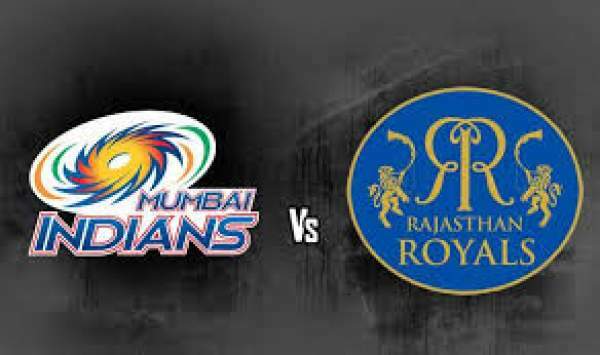 Mumbai Indians vs Rajasthan Royals is the 47th of 60 games to be played in this edition. It is scheduled to be played at Wankhede Stadium located in Mumbai. It’s a home game for MI and will have an extra pressure to outperform the opponent. Today’s match of IPL t20 between RR vs MI will start at time 8 pm IST on Sunday. It’s a double header day of which first game is SRH vs CSK, which starts at 4 pm on May 13. You can watch it both via telecast and streaming on television and computers/mobiles respectively. If you have got the access to the TV, then you can opt for Star Sports 1/ HD and Star Sports Select 1 / HD for English commentary. And if you feel comfortable with Hindi, then your channels are Star Sports 1 Hindi / HD. However, if you can’t catch the live updates on TV, then don’t need to worry. The same will be available via IPL free online live stream on websites and apps for both Android and iOS. You can go for Hotstar.com, Hotstar app, Jio TV app, and AirTel TV app. So, you have got plenty of modes to catch the IPL with ball by ball updates. Mumbai Indians is rowing on three wins in a row after a row of losses. MI seems confident now and will look forward to defeating Rajasthan Royals today. If the team wants to get itself a berth in the IPl 2018 playoffs, then it desperately needs more victories as it is still placed at number 5 in the points table. After playing 11 matches, MI has garnered 10 points with five wins and six losses. On the other hand, RR is placed sixth but with the same statistics. Mumbai is only leading Rajasthan because of better net run rate. Both the teams need desparate victories to keep their hopes alive for playoffs. MI has got the momentum and would love to capitalize the same.